A reconstructed “stream” below a surface mine in Central Appalachia. The Stream Protection Rule was intended to safeguard streams and people by reining in the ravages of mountaintop removal. In December 2016, the federal government released the Stream Protection Rule restricting certain surface coal mining activities in and around waterways. 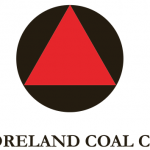 Securing a strong rule had been a years-long goal of citizens all across Central Appalachia, and a cornerstone of Appalachian Voices’ campaign to end mountaintop removal coal mining. Although the final rule was weaker than we hoped (it would not have ended mountaintop removal), it was an improvement. For example, it would have filled in some of the gaps of the abysmal regulatory oversight that had left countless communities with poisoned waters, ravaged lands, sickness and death. But in early 2017, the industry-backed leadership of the new Congress used an arcane procedure to overturn the rule, and on Feb. 17, 2017, President Trump signed a bill killing the Stream Protection Rule. This new legislation also prohibits any similar rule from being developed for a long time. Appalachian Voices remains committed to defending the region’s watersheds and communities from the harmful impacts of mountaintop removal mining. Working closely with Appalachian citizens and other public interest groups, we will continue to use community organizing, science-based evidence, political pressure and — when necessary — legal strategies to achieve our goal. 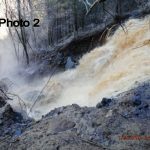 The federal Office of Surface Mining, Reclamation and Enforcement (OSMRE) is charged with protecting the public and the environment from the adverse effects of surface coal mining. In 1983, the agency created the Stream Buffer Zone Rule to prevent mining activities within 100 feet of a stream. The rule was particularly restrictive for surface mining in Appalachia, where the mountains are laced with hundreds of streams that are the source of drinking water supplies for local communities, and for many in the mid-Atlantic states. 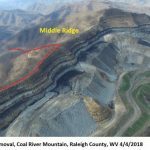 But the rule was never fully enforced, as state regulators commonly granted exceptions on mining permits allowing coal companies to both mine and dump waste within the 100-foot buffer. 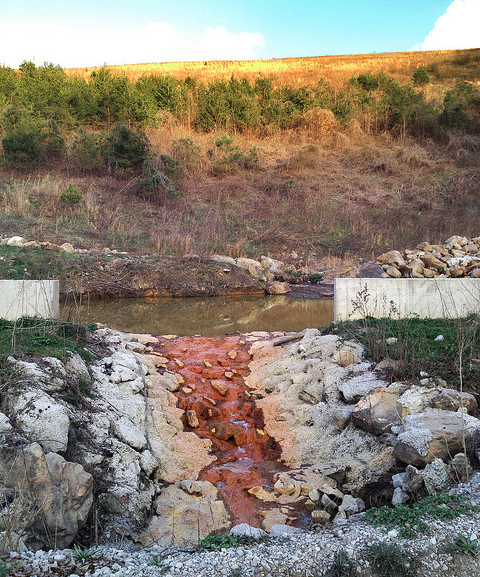 Over the years, more than 2,000 miles of streams in Appalachia have been buried, and many more poisoned by toxins such as arsenic and selenium, which kill aquatic life and can threaten human health further up the food chain. In 2010, after legal action by conservation groups overturned a Bush-era attempt to weaken the rule, the Obama administration undertook a redrafting of the rule, and released the draft in July 2015. 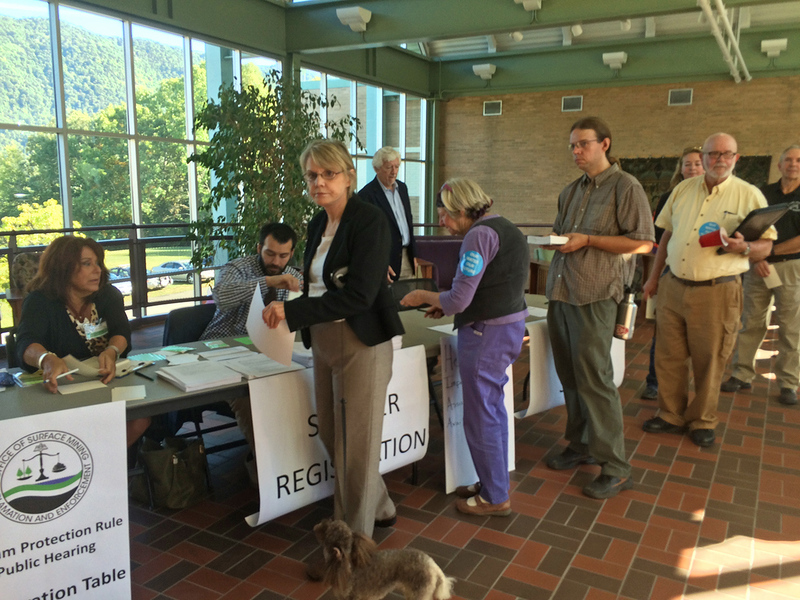 In addition to taking public comments, the agency held several public hearings in Central Appalachia, and thousands of citizens voiced support for a stronger final rule. In early 2016, Appalachian Voices’ Director of Programs Matt Wasson testified before Congress on the importance of the rule. The need for stronger oversight of mining practices was abundantly clear, yet the coal industry fought back, erroneously and preposterously claiming the rule would lead to thousands of job losses. Despite a body of economic data showing that cheaper natural gas and diminishing coal seams were the root cause of coal’s decline, industry lobbyists and their political allies amplified the misinformation, and ultimately convinced a majority of members of Congress and President Trump to roll back the rule.